One of my favorite side dishes at summer barbecues and picnics has always been pasta salad. Heck, I even love eating lunch on Fridays at Whole Foods when their salad bar features every salad imaginable from yellow fin tuna pasta salad and marinated artichokes with tomatoes to southwestern beef and red bliss potato salad. Time and time again, I fall back on my reliable Maryland Shrimp Pasta Salad. But it’s heavy and creamy, and I wanted a cold (and lighter) salad I could serve with dinner that would pair well with Barbecue Alaskan Salmon. Orzo is a rice-shaped Italian pasta. 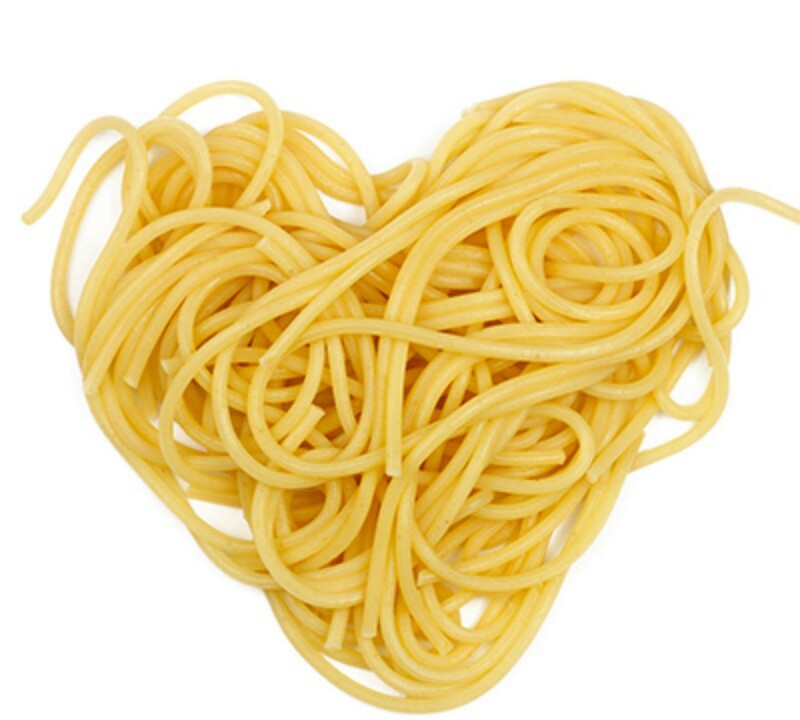 The pasta absorbs flavors well so dressing it with olive oil, red wine vinegar and lemon juice goes a long way. This would be a great alternative pasta salad for a picnic and you could experiment with adding different vegetables and cheese based on your preference. Bring a pot of water to a rapid boil. Generously salt water and cook orzo until tender, approximately 7-9 minutes. Drain and set aside. While orzo is cooking, spread pine nuts on a baking sheet and toast lightly in oven on 400 degrees. Remove from oven and set aside. Heat two tablespoons of EVOO on medium heat in a non-stick pan. Saute chopped green onions for approximately 2 minutes. Add parsley, lemon juice, lemon zest, toasted pine nuts and cooked orzo. Saute for 3-4 minutes for flavors to combine and absorb into the orzo. Remove from heat. 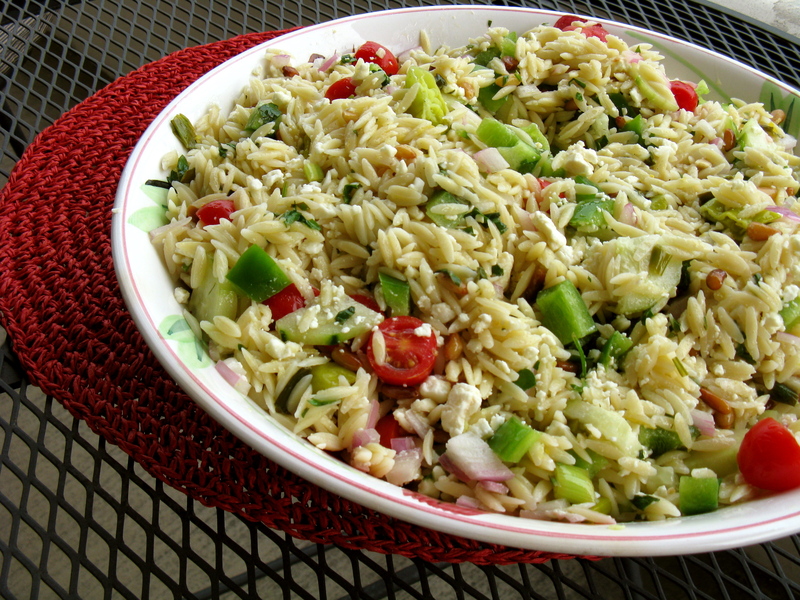 In a large bowl, combine cucumber, green bell pepper, cherry tomatoes, red onion and pepperoncinis to orzo mixture. Additionally add crumbled feta cheese, red wine vinegar and remaining six tablespoons of EVOO. Mix well. Can be refrigerated or served immediately.